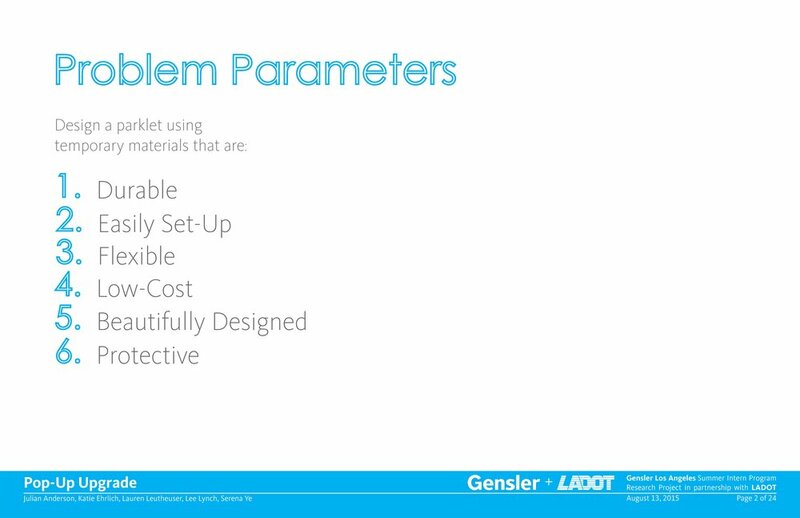 While working at Gensler, I participated in an intern team research project with the Los Angeles Department of Transportation. My group focused on how we could redesign "parklets" (parking spaces transformed into public space) to help benefit the Downtown community. 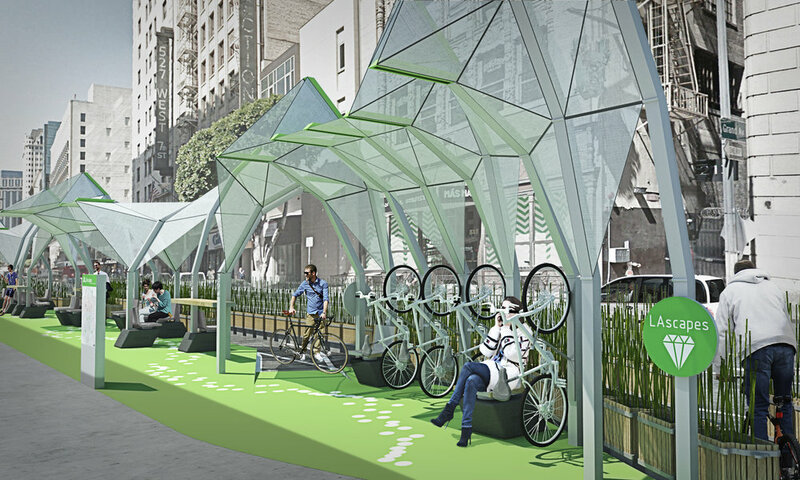 Since Downtown LA is a huge commuter city, we wanted the parklet to serve as a public space for all types of travelers: pedestrians, bikers, and bus riders alike. We wanted this to not just be a one-time setup, but something that could be applied and used throughout the city. Therefore, we created a modular and infinitely-changeable "menu" of items that could fulfill the public needs and space requirements anywhere. This menu includes chairs, bike storage, countertops, designated bus stop area, and protective bamboo planters. One of the most distinguished features of the space is the large kinetic awning. The poles are responsive; they are engineered on a spring system so that when a visitor sits in a chair or a bike is placed on a hook, the awning moves down to provide shade. It is also installed with lights to ensure safety for visitors even at night. We did a lot of research to ensure that every part of this design could feature locally-sourced, sustainable materials. 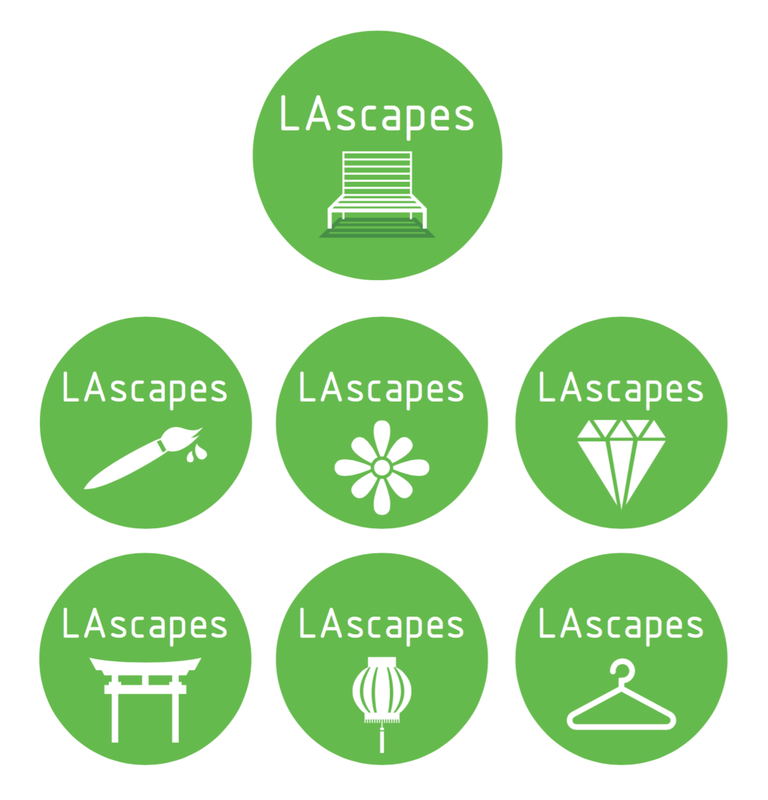 In a city of such mixed architecture and cultural influences, we felt it was important for our series of parklets, which we named LaScapes, to be well branded. We wanted people to seek out these spots as places they liked to sit and have lunch or have peace of mind when parking their bike at night. We created an overarching logo and brand system, and then individual icons for each district within LA. A map is provided at each location showing where the current parklets are located for easy access. Everything from the bike lane signage to the floor graphics has consistent visuals and is meant to draw people into the space. 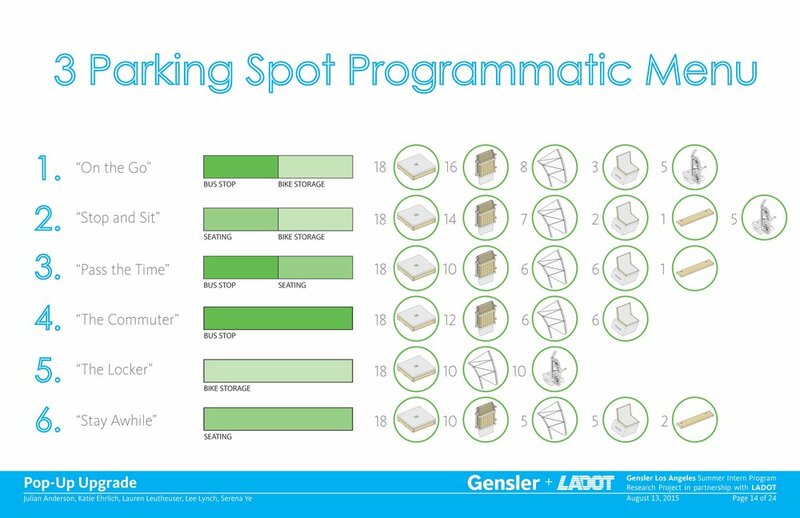 All of the intern teams presented their projects to the LADOT board and Gensler staff. Please click through the slideshow below to see the project in more detail!